Over the past three years, we’ve gone from a crazy idea that ‘just might work’ to a proven product used by 110,000 developers. Today, I couldn’t be happier to announce that we’ve joined Google. 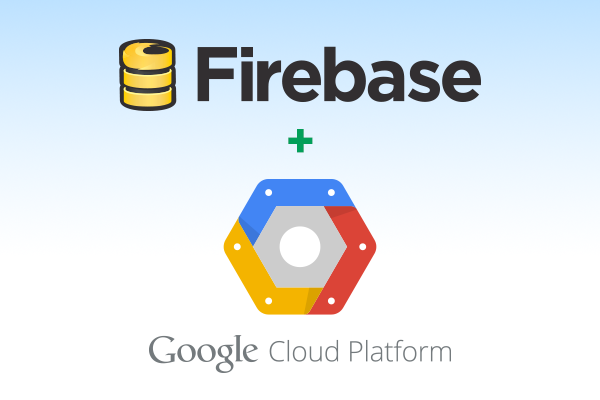 First, Google’s backing allows us to dramatically scale Firebase. We’re proud of what we’ve built over the last three years, but we’ve only scratched the surface of the opportunity ahead of us. 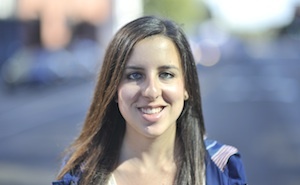 With Google’s engineering talent, resources, and technical infrastructure, we’ll be able to do much more, much faster. Second, our products and missions are highly complementary. Both the Firebase and Google Cloud Platform teams come to work each day for the same reason: to help developers create extraordinary experiences. By joining forces, Firebase developers will gain access to a powerful cloud infrastructure suite, and Cloud Platform customers will gain access to our rapid development capabilities. Together we’ll deliver a complete platform for mobile and web apps. 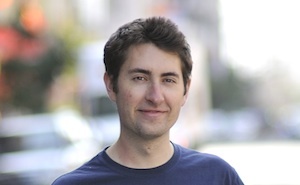 Firebase is here to stay and grow. You can continue to count on the same great development experience, tools, libraries and community commitment that have become synonymous with Firebase. If you’re a developer who has built an app on top of Firebase, nothing will change for you, and you can continue to use Firebase as you normally would. We’ll continue to be platform agnostic and provide clients for iOS, Android, the web, and more. To our developer community, thank you. Building Firebase has been a challenge and you’ve helped immensely with your encouragement and support. Thank you for your API feedback, answering StackOverflow questions, submitting pull requests to our open source projects, and building your apps on Firebase. Many of you have bet your startups and careers on us -- we’re constantly humbled by this and look forward to serving you for many years to come. You can read Google’s announcement here. Also, we'll be sharing more at Google Cloud Platform Live on November 4th in San Francisco. We'd love for you to join us in person to meet our team and learn about the great things we're working on. If you can't make it, don't worry - everything will be streamed live. Finally, if you’d like to come and help us write the next chapter of Firebase, we’re hiring. With the fall hackathon season underway, we’ve had a chance to introduce a ton of talented college students to Firebase. We continue to be amazed by the hacks students are building in just a few hours (with barely any sleep!). Last month we participated in MHacks, where students used Firebase to build things like “collaborative graffiti via text” and “real world Pokemon”. 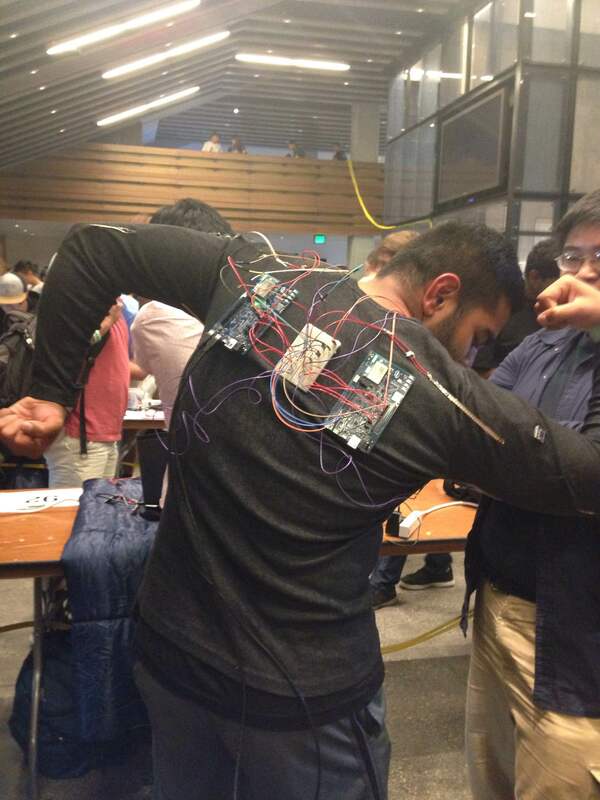 At CalHacks this past weekend, the best hardware hack used Firebase for a shirt that tracks your posture in realtime. 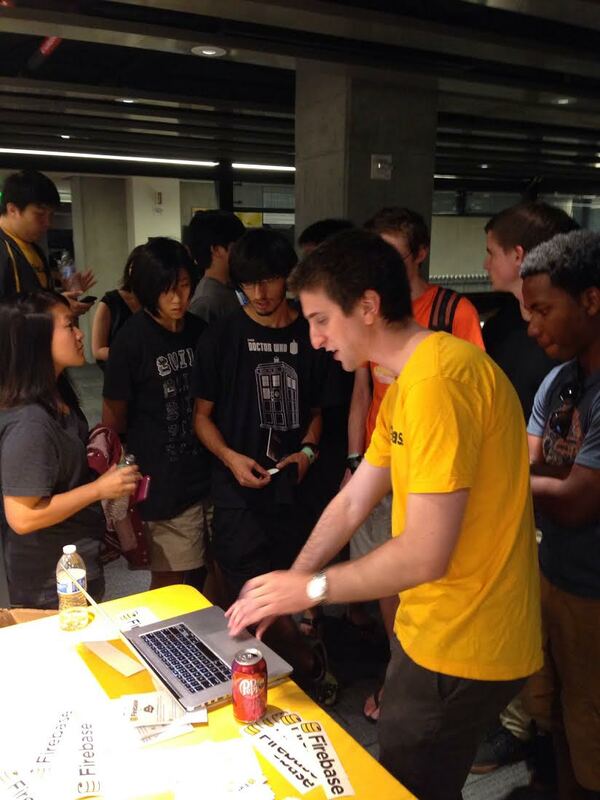 See below for a recap of our favorite Firebase hacks from MHacks and CalHacks. Our top prize went to VoteApp, a web based voting platform where users can create a new poll and display the results in realtime. Designed to replace an expensive and specialized device currently used for voting in class, these four students wanted to build a universal and free solution. 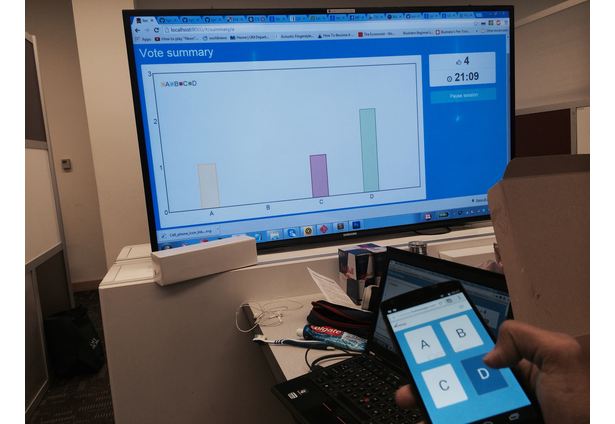 Use it to run your next classroom poll, it’ll be the easiest one you’ve ever done! Our second place prize went to City Paint, which aims to reduce the prevalence of graffiti in urban areas by creating an online graffiti wall. These virtual walls can be placed around cities, and residents can text ASCII art to the wall and watch as their tags are added in realtime. Over half of the Firebase team had the opportunity to meet the 1,000+ hackers at the amazing Cal Memorial Stadium last weekend. 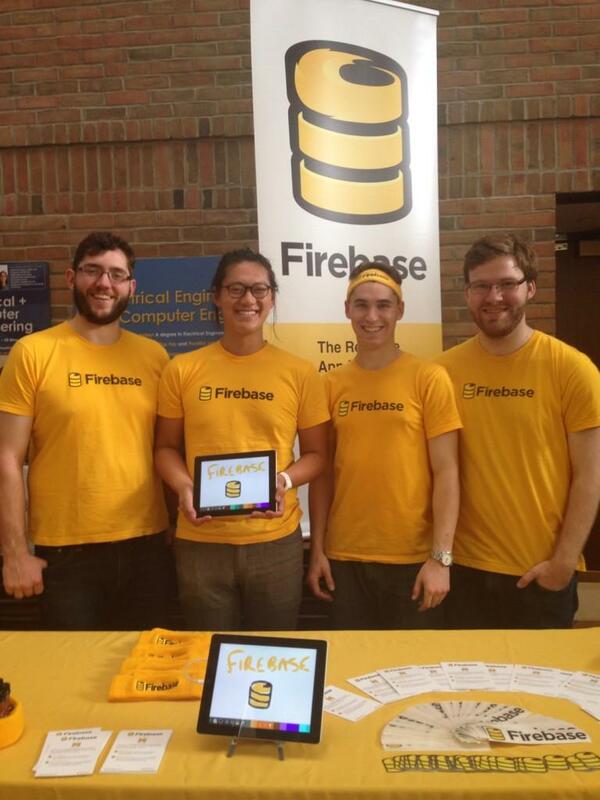 We had a great time helping hackers, and were impressed by their uses of the Firebase API. Both winners of our prize connected hardware to Firebase for realtime IoT awesomeness. 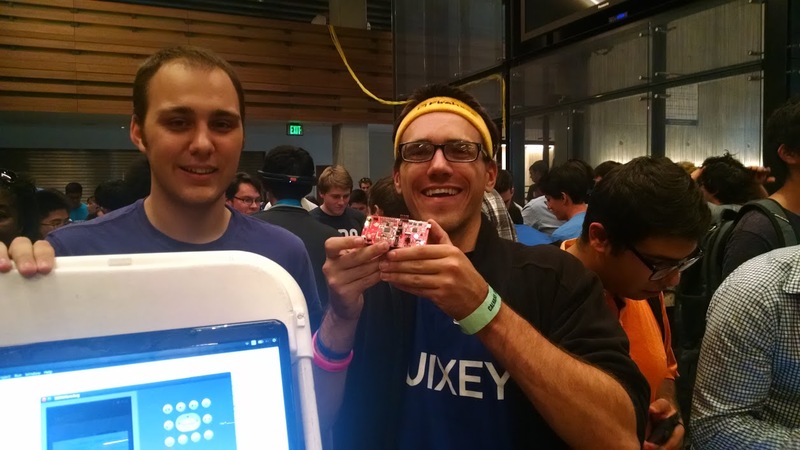 The Nextile Shurt team built a device with flex sensors and accelerometers that ran on two Intel Edison boards. It captured motion data in realtime and displayed the data on a web app. The best part? They attached their device to a shirt, so that when you move the degree of motion is stored in Firebase. It can be used to track posture or for physical therapy. Our second place prize went to the Pomsafe team. Pomsafe is a home security and automation platform running from a Texas Instruments LaunchPad, powered by Firebase. When the device is attached to a door, it monitors temperature in realtime and reports when the door is opened to detect possible break-ins. We're always excited to see what students build with Firebase in such a short amount of time, and we can't wait for the next hackathon! Follow us @Firebase on Twitter to find out which hackathons we'll be attending next. through the standard Firebase Web, iOS, Android and REST APIs. With 2.6 million unique visitors per month, Hacker News (HN) has a huge audience of programmers and entrepreneurs. HN users submit interesting stories from around the web that are upvoted by other users. When a post receives enough upvotes it makes it to the front page. This results in a lot of interesting content and discussion, and a rapidly changing set of articles. HN is so popular that developers have taken to scraping the site in order to access its content. Using Firebase now makes it much easier for developers to build apps using data from HN. Firebase is an ideal way to distribute HN in realtime across a variety of clients. With our scalable, easy to use platform HN now has a realtime API available to Web, iOS, and Android developers. The API is also accessible on other platforms through our REST API. You can access the HN API today, here’s a simple example that displays the top rated HN article and updates in realtime. See this example running live on JSFiddle. Check out the full HN documentation at hacker-news.firebaseapp.com. With more than 100,000 developers using our platform, we’ve seen Firebase used both as the entire backend for apps as well as to power specific realtime features in apps. 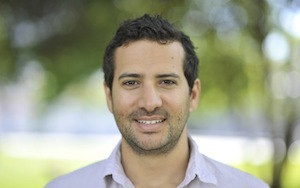 A growing use case has been loading data into Firebase to expose an API to other developers. Traditionally, building and maintaining a public API is a big undertaking; often entire teams are dedicated to it. It’s not easy to give third party developers access to your data in a way that’s both safe for your users and powerful for those developers. With Firebase, all you need to do is sync data to your Firebase and API consumers can then use one of Firebase’s realtime clients or the REST API to consume that data. You don’t have to worry about scaling with developer usage and or documenting anything beyond your data structure. You can learn more in a blog post we published last year.